We've long suspected that the NSA, the world's premiere spy agency, was pretty good at breaking into computers. But now, thanks to an article by security expert Bruce Schneier—who is working with the Guardian to go through the Snowden documents—we have a much more detailed view of how the NSA uses exploits in order to infect the computers of targeted users. The template for attacking people with malware used by the NSA is in widespread use by criminals and fraudsters, as well as foreign intelligence agencies, so it's important to understand and defend against this threat to avoid being a victim to the plethora of attackers out there. Deploying malware over the web generally involves two steps. First, as an attacker, you have to get your victim to visit a website under your control. Second, you have to get software—known as malware—installed on the victim's computer in order to gain control of that machine. This formula isn't universal, but is often how web-based malware attacks proceed. In order to accomplish the first step of getting a user to visit a site under your control, an attacker might email the victim text that contains a link to the website in question, in a so-called phishing attack. The NSA reportedly uses phishing attacks sometimes, but we've learned that this step usually proceeds via a so-called “man-in-the-middle” attack.1 The NSA controls a set of servers codenamed “Quantum” that sit on the Internet backbone, and these servers are used to redirect targets away from their intended destinations to still other NSA-controlled servers that are responsible for the injection of malware. So, for example, if a targeted user visits “yahoo.com”, the target's browser will display the ordinary Yahoo! landing page but will actually be communicating with a server controlled by the NSA. This malicious version of Yahoo! 's website will tell the victim's browser to make a request in a background to another server controlled by the NSA which is used to deploy malware. Once a victim visits a malicious website, how does the attacker actually infect the computer? Perhaps the most straightforward method is to trick the user into downloading and running software. A cleverly designed pop-up advertisement may convince a user to download and install the attacker's malware, for example. 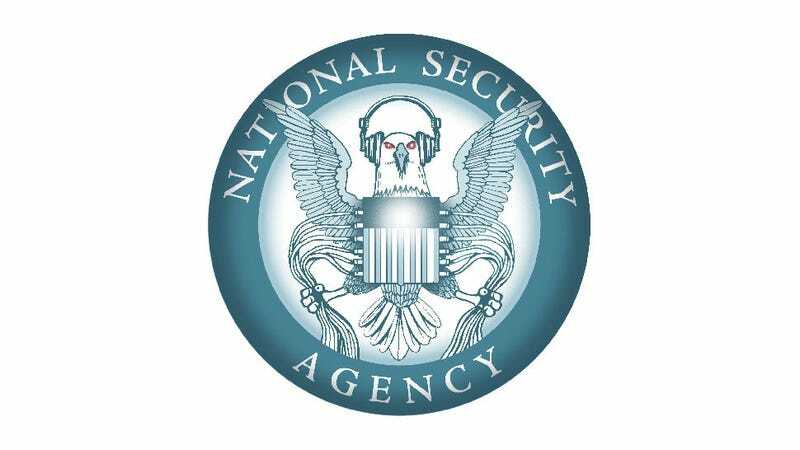 The NSA has a set of servers on the public Internet with the code name “FoxAcid” used to deploy malware. Once their Quantum servers redirect targets to a specially crafted URL hosted on a FoxAcid server, software on that FoxAcid server selects from a toolkit of exploits in order to gain access to the user's computer. Presumably this toolkit has both known public exploits that rely on a user's software being out of date, as well as zero-day exploits which are generally saved for high value targets.2 The agency then reportedly uses this initial malware to install longer lasting malware. Once an attacker has successfully infected a victim with malware, the attacker generally has full access to the user's machines: she can record key strokes (which will reveal passwords and other sensitive information), turn on a web cam, or read any data on the victim's computer. The NSA's system for deploying malware isn't particularly novel, but getting some insight into how it works should help users and browser and software vendors better defend against these types of attacks, making us all safer against criminals, foreign intelligence agencies, and a host of attackers. That's why we think it's critical that the NSA come clean about its capabilities and where the common security holes are—our online security depends on it. 1. The term "man-in-the-middle" is sometimes reserved for attacks on cryptographically secure connections, for example using a fraudulent SSL certificate. In this context, however, we mean it more generally to mean any attack where the attacker sits between the victim and the intended website. 2. According to the Guardian article, "the most valuable exploits are saved for the most important targets." This article is reproduced under Creative Commons license from the Electronic Frontier Foundation.